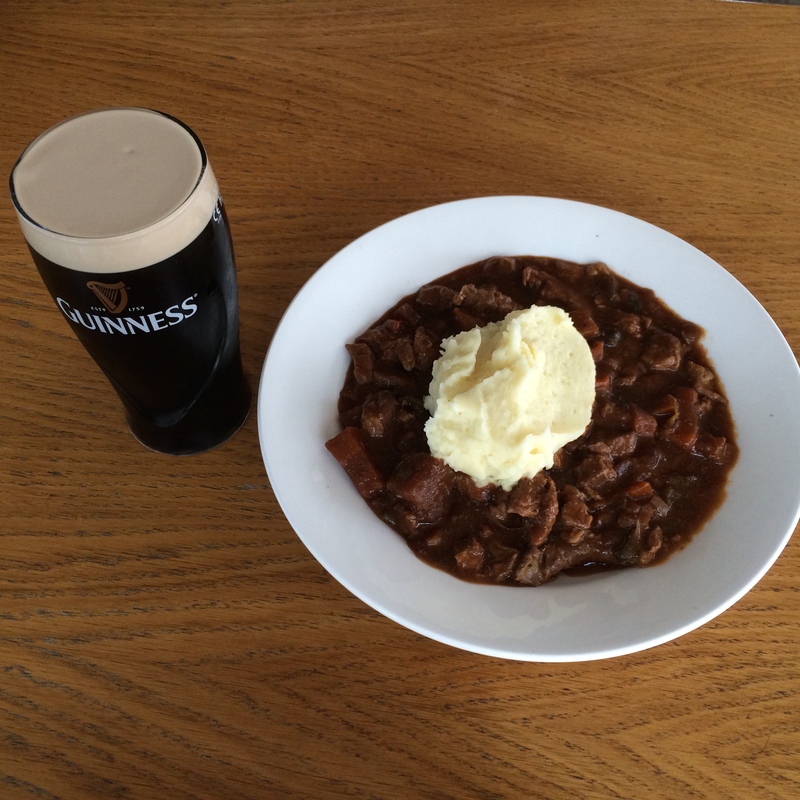 This is a recipe direct from the Guinness Storehouse in Dublin, Ireland. We tasted the real thing on a recent trip to Ireland. The photo is of how it looks when served at the Storehouse cafe. Stir fry the beef, add the vegetable and cook till tender, then pour the Guinness and reduce the volume by half. Add the beef stock and herbs and simmer very slowly for between an hour and an hour and a half. Serve topped with mash potatoes. Best to make one day in advance and reheat.